There’s some magic that happens whenever a steak is perfectly grilled. The toasty, flavorful meat is so juicy. Of course, if you want to make that incredible steak even more amazing, top it with a bit of homemade garlic herb butter. It’s heaven. 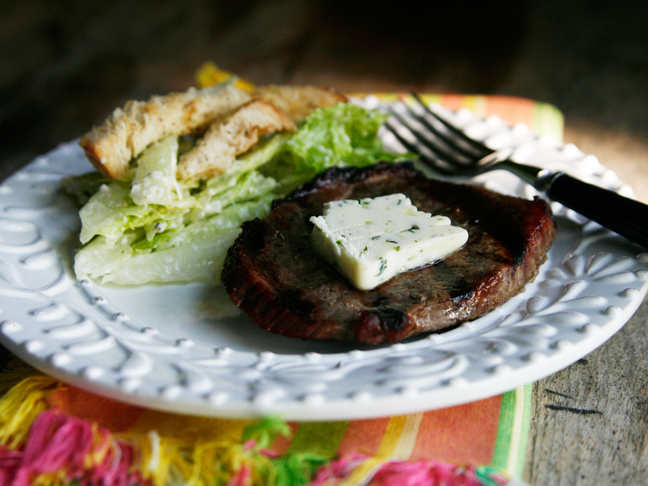 Keep reading to find out how to make the perfect grilled steak with garlic herb butter. 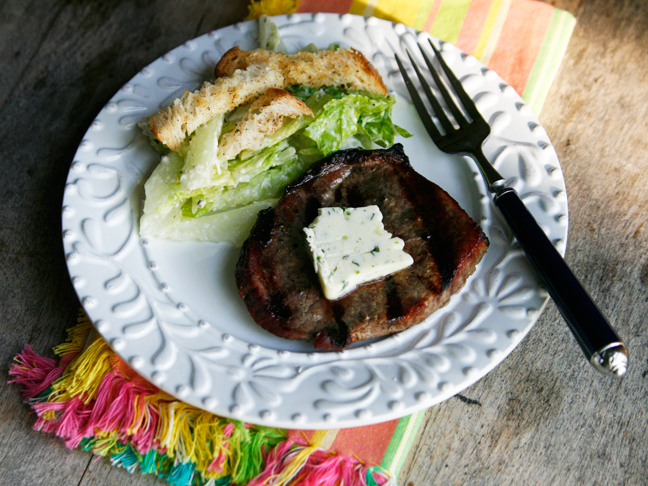 Fire up the grill this weekend with my secret to a perfectly grilled steak! 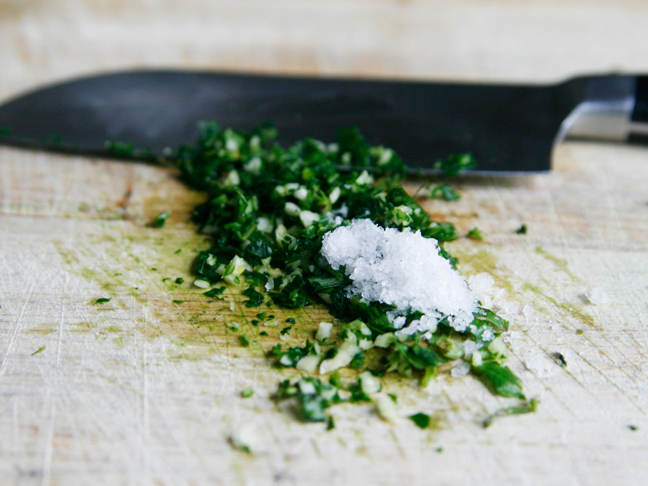 Step 1: Combine the herbs, garlic, and salt, using a knife to mince them together. Step 2: Place the softened butter on the herb mixture and use a fork to mash it all together, taking care to evenly distribute the herb mixture. Press the butter mixture back into the wrapper and use the fork to shape it into one even log. Chill for at least 2 hours, or until hardened. Step 3: Heat the grill to its medium setting. Season the steak with salt and pepper on both sides. Grill to desired doneness. 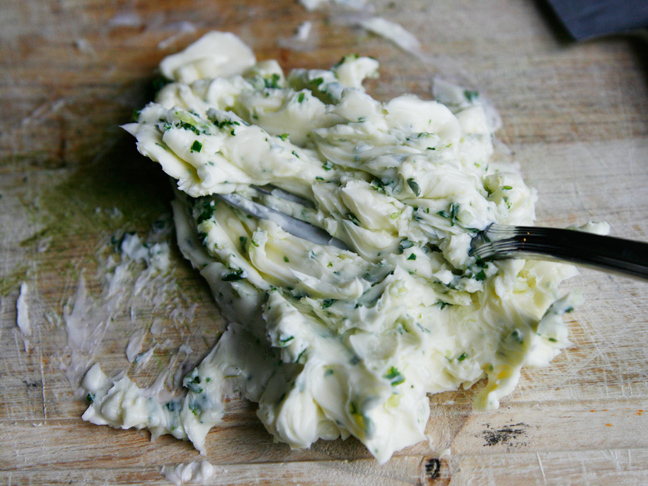 Serve with a generous pat of harlic herb butter.